As EyeBuyDirect’s go-to glasses guy, I often get asked to try out different products and share my feedback. For example, I tested EyeBuyDirect’s Transitions and photochromic lenses for a couple of weeks for a product review. Since I don’t quite fall into the demographics for multifocal lenses yet, I teamed up with one my most trusted advisors, my Mom, who is both brutally honest and new to wearing glasses with multifocal lenses. Since my Mom isn’t as familiar with the technical details, I will talk shop for a bit and then show her standard progressive lens review later. Anyone who needs glasses to see things in the distance and up close can wear progressive lenses, but they’re typically prescribed to people 40 and older. This demographic is much more likely to experience age-related vision changes that require glasses with progressive lenses. One of the most common vision changes people experience as they age is difficulty with near vision, or the ability to see things up close—books, sewing—or at mid-distances—computer screens. This trouble focusing is caused by the hardening of the eye’s natural lens due to age, called presbyopia. Presbyopia is different than nearsightedness or farsightedness, and therefore needs a different type of lens for correction since a person needs to be able see things near and far away. 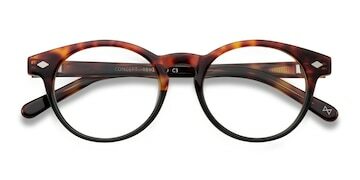 What’s the difference between progressive and bifocal glasses? Progressive lenses and bifocal lenses are similar in that they’re 1) both multifocal lenses, 2) they can be used to treat presbyopia, and 3) they both have near and far sections of the lens. But only progressive lenses have a corridor (lens section) devoted to seeing things at mid-distances, such as computers or smartphones. 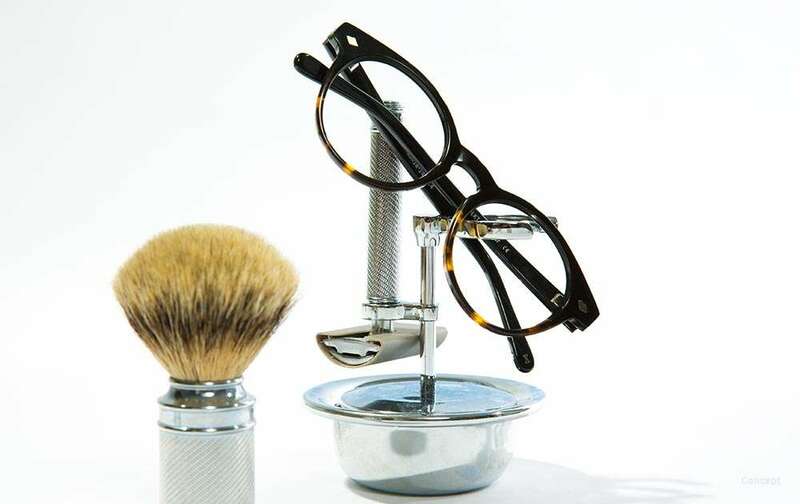 This makes eyewear with progressive lenses a three-in-one pair. 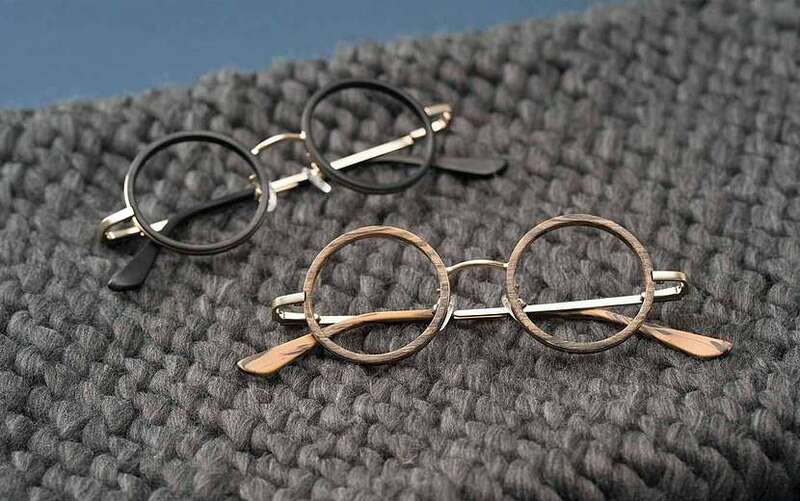 Bifocals have a distinct line in the lens that’s visible to anyone looking through or at the lense. Bifocals also have a vision “jump” caused by switching from one vision distance to another, which many glasses wearers find disorienting. Progressive lenses are just that: premium lenses that gradually change between distances, giving a smooth visual transition. 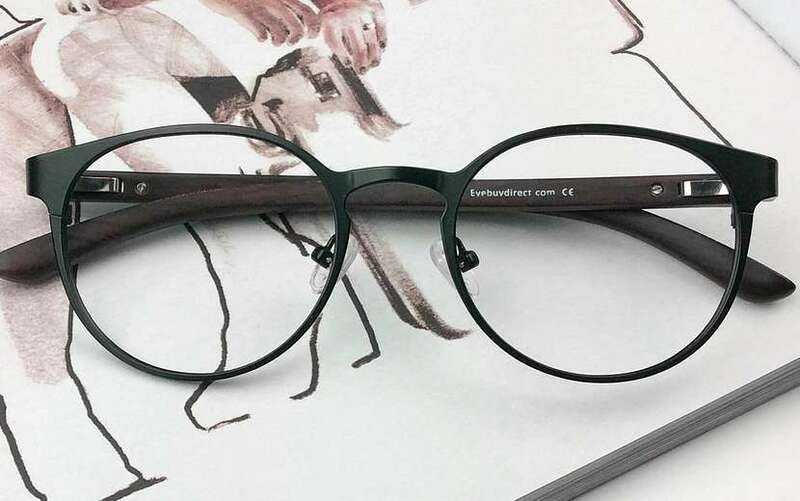 The main benefit of progressives is that progressive lenses change smoothly since the lenses are digitally designed to create a smooth change between vision distances. 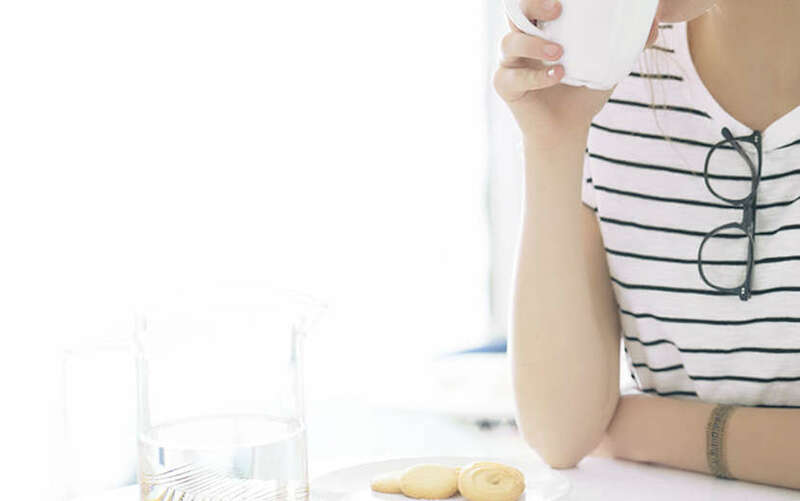 Along with the additional mid-distance, these factors make progressive lenses preferred by both patients and doctors over traditional bifocals. As I mentioned earlier, I don’t wear progressive glasses. And since I don’t have my own personal experience with them, I will be sharing my Mom’s standard progressive lens review instead. Why’d she finally make the switch? My Mom says it’s much easier to wear one pair of glasses instead of switching between her distance and reading glasses. She had noticed that she was having trouble reading emails so she went to the eye doctor who told her that she’d need vision correcting for mid-ranged vision. Her options were computer glasses (meant to help see things that are relatively the distance from a computer screen to the eyes) or progressives. She was notorious for misplacing her glasses, so she thought adding another pair to the mix wasn’t the best option. Adjusting to the change from single vision lenses to progressives can be difficult. My Mom noted that while she found the vision jump in bifocals disorienting, it also threw her off to be able to see near, mid, and far all in one lens. For the average person, it could take anywhere from a couple of minutes to a several days for the initial adjustment, and up to two weeks to be fully comfortable. To help your eyes adjust to progressive lenses faster, doctors suggest wearing the glasses progressive lenses as much as possible and to avoid switching between them and glasses with a single vision prescription. My Mom followed this advice and felt she had fully adjusted to them after only two days. Overall, she enjoys them a lot more than single vision lenses (she had a pair for distance and a pair for reading for the longest time and even tried bifocals for a bit). So there you have it, our standard progressive lens review. And for those of you wondering if EyeBuyDirect offers progressive sunglasses as well, we do! EyeBuyDirect carries standard progressive sunglasses, as well as basic photochromic and premium Transitions light adaptive lenses as well. 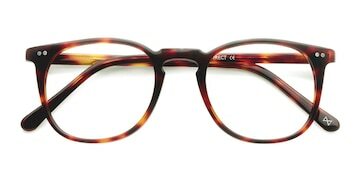 Check out our most popular frame styles and find your next pair.